Volkswagen said vehicle sales of its namesake brand rose 14.6 percent in March to a record 536,600 units, extending the gain in first-quarter deliveries to 1.36 million. "While the situation on the markets in Europe remains difficult, we reported significant growth in North America and Asia," Christian Klingler, VW sales and marketing chief, said in a statement on Wednesday. VW brand sales in Europe grew 5.1 percent to 441,800 in the first quarter. Deliveries in western Europe, excluding Germany, dropped 3.7 percent to 232,600, while volume in central and eastern Europe rose by 61.8 percent to 60,200. German sales were up 5.3 percent to 149,000. In Russia, first-quarter sales more than doubled to 35,800 from 16,800 in the same quarter last year, VW said. China sales increased by 12.5 percent to 483,400 in the quarter. In the United States, volume grew 40.8 percent to 94,400. In South America, deliveries rose by 3.9 percent to 190,400. 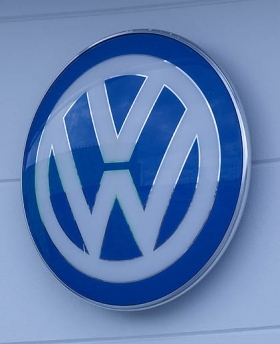 VW does not release sales by market for March.